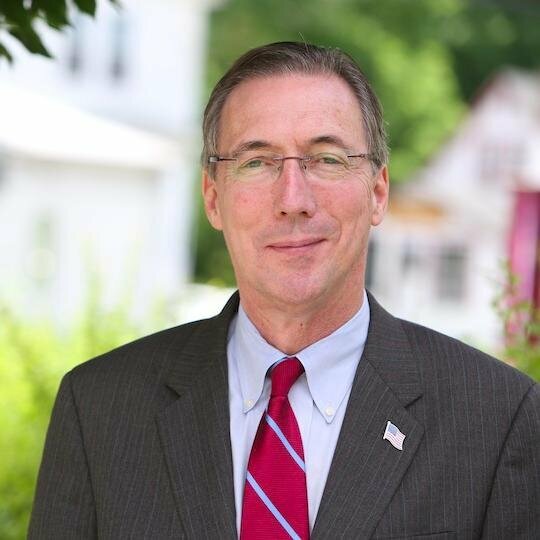 Jim Gaughran’s decades of experience as a public official and as an attorney makes him uniquely qualified to take on the special interests in Albany as the next State Senator from the 5th District. At the age of 26, Jim was elected to the Huntington Town Board in 1983, becoming the youngest Councilman in the history of his town. As a member of the Town Board he wrote one of the State's first ethics laws requiring local officials to disclose all sources of outside income and exposing any possible conflicts of interest. He also ended decades of corrupt garbage collection practices by creating municipal solid waste districts, authored numerous zoning and environmental laws to protect environmentally sensitive areas and, as the lone Democrat, became fiscal watchdog over budgetary issues. In 1987, Jim was elected to the Suffolk County Legislature representing the 17th Legislative District in the Town of Huntington. As a legislator, he authored a Charter Amendment taking away the Legislature’s ability to amend the Capital Budget anytime they wanted for pet projects. This Amendment was overwhelming approved by the voters in a public referendum and helped reduce Suffolk’s debt for years after. Jim also co-sponsored the County’s first “crack house” law against drug dealers; as Chair of the Public Safety Committee he reformed the Suffolk County Police Department with new community oriented police policies; and he co-sponsored the Suffolk Water Protection Act which led to preserving the Central Pine Barrens and numerous critical watershed areas in Suffolk County. As Water Authority Chairman, Jim implemented smart management practices which have reduce the payroll in 4 years by 6%, resulting in the Authority having a high bond rating of AA+ issued by Fitch and Standard and Poors. He also implemented numerous reforms to create accountability and transparency. This included putting all agenda items on the Authority's website a week before any action is taken, and requiring Requests for Proposals for all professional service contracts. Jim has been a practicing attorney in Suffolk County for almost 30 years representing numerous families, businesses and individuals in a variety of areas of law. In 1987 Jim married his wife, the former Carol Daly, a Library Media Specialist. The Gaughrans have a daughter, Kaitlin, a graduate of George Washington University with a Bachelors Degree in Political Science and a son, Michael, a senior at Whittier College in Whittier, California. Jim, who is 59 years old, was raised in Dix Hills where he graduated from Half Hollow Hills High School. He has spent most of his life in Suffolk County and currently resides with his wife in Northport. He has a Juris Doctorate degree from Hofstra Law School and a Bachelors degree from SUNY Stony Brook where he majored in Political Science.